The property was owned by Jim Abbott and after his death the Marque Sports Car Club ran some meetings for a couple of years, but the upkeep was becoming too much for them to continue. Mrs Abbott wasn't interested in spending money at the track so it was put up for sale and onsold to a developer. 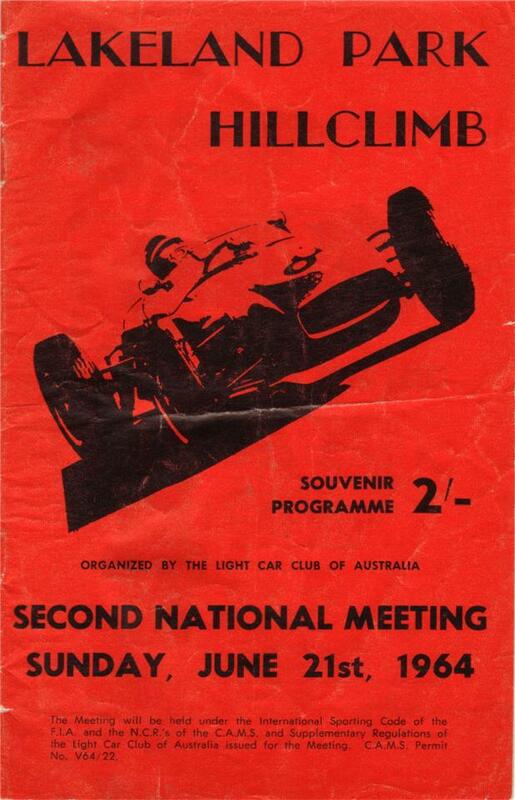 Ron Simmonds recalls: I competed there right from the start about 1964 - 1965, mainly in Mini Cooper S Touring cars, Group C and Sports Sedans, interesting note is that I won the touring car hill climb championship beating Captain Jansen. 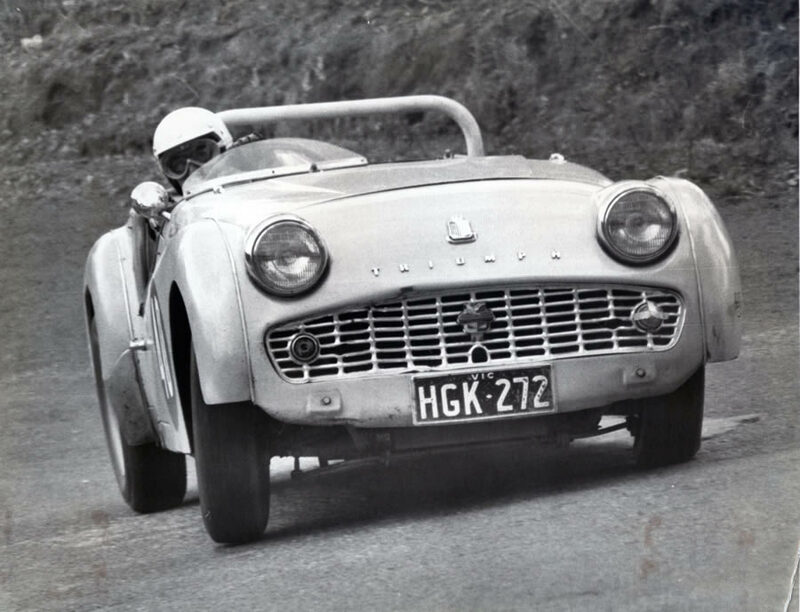 1965 - Lakeland's Hillclimb. Photo: unknown. The location for Lakelands Hillclimb has been described as on the old Gippsland Road, about 50 yards on the left just down from the corner of the Warburton Highway.